Elk Grove Unified School District v. Newdow. The Becket Fund for Religious Liberty (n.d.). Retrieved from https://www.becketlaw.org/case/elk-grove-unified-school-district-v-newdow/. Elk Grove Unified School District v. Newdow. (Apr. 04, 2019). https://www.becketlaw.org/case/elk-grove-unified-school-district-v-newdow/. "Elk Grove Unified School District v. Newdow." The Becket Fund for Religious Liberty. Accessed [Apr. 04, 2019]. https://www.becketlaw.org/case/elk-grove-unified-school-district-v-newdow/. 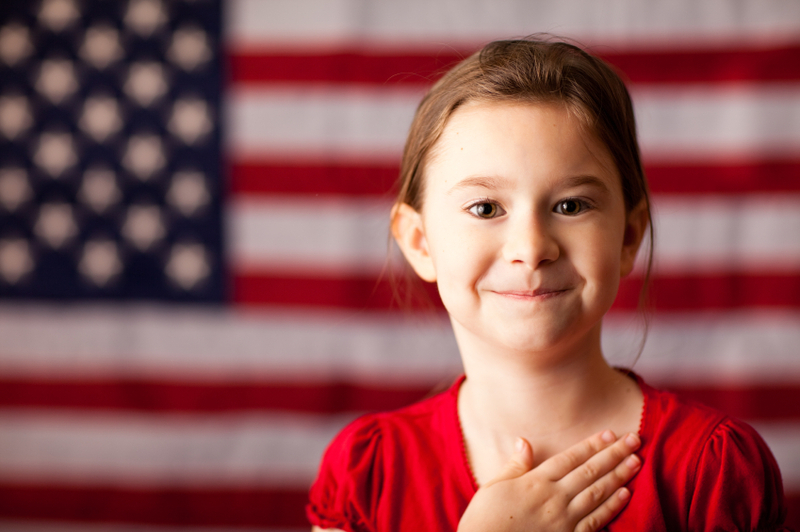 In March of 2000, atheist Michael Newdow sued on behalf of his daughter to strip the words “under God” from the Pledge recited by students in California public schools.Terence Cassidy represented the school district. The Ninth Circuit Court of Appeals later agreed that public schools violate the First Amendment by leading their students in a voluntary recitation of the Pledge that includes the words “under God.” Although the Supreme Court initially agreed to give full review of the case, in June 2004, the Court opted to reverse the Ninth Circuit’s ruling on a technicality: Newdow lacked sufficient custody of his daughter to represent her in federal court. Becket filed an amicus brief to the Supreme Court on behalf of the Knights of Columbus, demonstrating that the phrase “under God” is not only constitutionally permissible but philosophically laudable. The brief argues that historical references to the “Laws of Nature” and “Nature’s God” are not primarily religious. Instead, these phrases embrace our Founder’s political philosophy. When recited in the Pledge, the words “under God” reflect the principle that no government can undermine our rights because they come from a higher source than the state. By adding “under God” to the Pledge of Allegiance in 1954, Congress starkly contrasted mutually exclusive conceptions of human rights envisioned by the United States and the U.S.S.R.